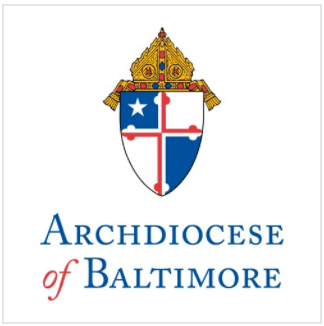 Archdiocesan Immigration Coalition Holds Rally in Baltimore Before Departing for Interfaith Prayer Vigil in D.C.
Father Robert Wojtek, C.S.s.R., Pastor of the Catholic Community of St. Michael/St. Patrick and Fr. Joseph Muth, Pastor of St. Matthew Catholic Church, will hold a noon rally in support of comprehensive immigration reform before leading two buses to Washington, D.C. on Wednesday, June 17, for an interfaith prayer vigil with members of congress and faith leaders from throughout the country. The rally will take place in front of St. Patrick Church, located at the corner of Bank St. and Broadway in Fells Point, prior to the departure of the buses at 12:30 p.m. Fathers Wojtek and Muth, representing Archbishop Edwin O’Brien and the Archdiocesan Immigration Coalition, will speak at the rally. The prayer vigil, scheduled for 2 p.m. at Church of the Epiphany in Washington, comes on the day when President Obama is expected to meet with congressional leaders, including members of the Congressional Hispanic Caucus, to discuss comprehensive immigration reform legislation. For more information about Catholic Church teaching on immigration, visit http://mdcathcon.org/immigration.